MYRTLE BEACH, S.C., Nov. 14, 2018 --To usher in the holiday season, more than 30 Myrtle Beach area properties are offering deep discounts for Black Friday and Cyber Monday – including some with discounts of more than 50 percent for winter getaways and spring and summer 2019. These deals also include savings on various dining and attractions throughout Myrtle Beach. "We know people use Black Friday and Cyber Monday as a time to check off items on their holiday shopping lists, but we wanted to offer them the chance to check off items on their bucket list as well," said Karen Riordan, president and CEO of Visit Myrtle Beach. "If a visit to Myrtle Beach is on your list for 2019, now is the time to book so you can take advantage of these incredible deals." Nights of a Thousand Candles at Brookgreen Gardens, a Grand Strand tradition that illuminates the gardens with more than 4,500 hand-lit candles and countless sparkling lights. Guests can stroll the lighted paths with a warm cup of cider in hand while they enjoy the seasonal sounds of hand bells ringing and carolers singing their favorite holiday classics. The 85-foot-tall fir tree decorated with 100,000 lights will be lighted in ceremonial fashion at 5:45 p.m. every night, December 6-9, 13-16, and 20-22, 2018. The Intracoastal Christmas Regatta, an annual maritime parade of colorfully decorated and illuminated boats begins at the Little River Inlet and travels south, arriving at Dock Holidays Marina. Guests can watch the November 25th parade as it passes several viewing areas along the waterway. Ripley's Festival of Trees, a family tradition featuring more than 100 uniquely decorated Christmas trees. Guests can spend the day exploring the aquarium decorated in its holiday finest as well as meeting and learning more about new friends from the deep sea. This year's event takes place November 9 through December 31st. Alabama Theatre's award-winning holiday musical, The South's Grandest Christmas Show, which brings an incredible combination of talent, scenery and special effects to put guests in the holiday spirit. James Stephens III, Man of a Thousand Voices, performs his one-man comedy and music show at Asher Theatre with holiday classics like "The Christmas Song" as Nat King Coleand "The First Noel" as Elvis. The Carolina Opry transforms into a winter wonderland where the magic of the season is alive in a dazzling musical celebration. Known as "The Christmas Show of the South", this Christmas Special is the first Christmas show in Myrtle Beach. The GTS Theatre celebrates the holidays in two unique ways. Guests can enjoy an evening of beloved holiday musical classics with the Motor City Musical – Motown Christmas Tribute or delight in a holiday variety show with a twist featuring a mixture of comedy and holiday music with the Christmas in Dixie show. Pirates Voyage Dinner & Show retells the Charles Dickens' classic "A Christmas Carol" with a swashbuckling spin. The crew celebrates all the things that make the holidays special as Captain Scrooge journeys through space and time to find the meaning of Christmas. 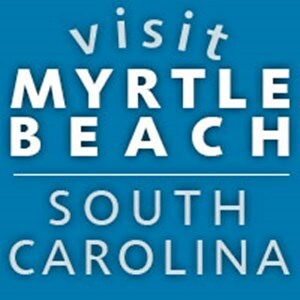 For more information on Black Friday and Cyber Monday deals or holiday events, visit www.VisitMyrtleBeach.com.